Sam's Club Mastercard: Should You Apply? 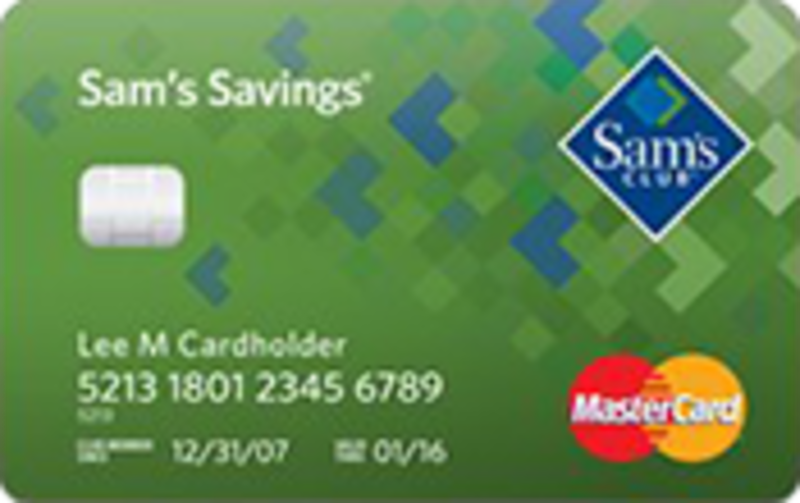 The Sam’s Club Mastercard is a great credit card for earning rewards on gas, travel, and dining expenses. The card provides rewards rates between 3% and 5% on spending within these categories, which is a feature seldom seen in a card with no annual fee. This credit card is not, however, the best one to use on your non-gas shopping at Sam’s Club. There it will only provide you with 1% cash back, which is well below average compared to the top cards. Overall, we view the Sam’s Club Mastercard as a good offer for most consumers, but limited to within the categories that will earn between 3% and 5% cash back. How Does The Sam's Club Mastercard Compare? Review: Should You Get The Sam’s Club Mastercard? The Sam’s Club Mastercard offers very high rewards and is a fantastic value – provided you don’t mind its inconvenient redemption method. Rewards accumulated through the card may only be redeemed once per year, at a Sam’s Club store. This can be problematic, especially for individuals who could use the cash back rewards they earned immediately. As long as you don’t care about this stipulation, the card provides one of the highest rewards rates on gas purchases around – 5% on up to the first $6,000 in purchases each year. It also provides 3% cash back on travel and dining expenses, a rate that rivals some of our favorite travel credit cards. Generally, earning rewards above 2% is considered above average, since that is the rate you can get on all purchases with a decent flat rate cash back card, such as the Citi Double Cash. As mentioned above, the Sam’s Club Mastercard is not the card we’d recommend to actually use at Sam’s Club. Within the superstore, the card will earn you just 1% cash back – well below the 2% threshold we spoke of. Shopping at Walmart and Sam’s Club is better done with a flat rate 2% cash back credit card, since those are some of the only credit cards to provide rewards above 1% at wholesale stores like these. The Sam’s Club Mastercard has no signup bonus, which puts it at a disadvantage against most cards issued by larger financial institutions. Cardholders can typically get anywhere between $100 and $700 from credit card bonuses, provided they meet all the necessary spending requirements. If you’re looking to optimize your rewards in the short-term, consider other options. Bottom Line: As long as you don’t mind all the hoops you have to jump through when it comes to rewards, the Sam’s Club Mastercard provides excellent value on gas, travel, and dining purchases. If you’re already a Sam’s Club member, and have expenses in any of those 3 categories, you’d be hard pressed to find better net value on another card. The Sam’s Club Mastercard’s primary focus is earning cash back. All the rewards earned through this card are mailed to consumers once per year, in the form of a check that can only be cashed or redeemed at a Sam’s Club location. If you don’t redeem the check within 180 days of it being issued, the rewards expire. The rewards themselves are quite high. Cardholders can get 5% cash back at most U.S. gas stations, up to $6,000 in purchases per year. The only gas stations that don’t qualify for the rewards are those belonging to other wholesale stores (Costco, BJ’s etc.). Using the Sam’s Club Mastercard you will also receive 3% cash back on dining and travel purchases, and 1% back on everything else. Curiously enough, this card will only provide 1% cash back rewards on non-gas purchases at Sam’s Club and Walmart – way below average. The Sam’s Club Mastercard also has a rewards cap of $5,000 per year. While this may seem inconvenient, only the highest of spenders could reach this limit. You would need to spend well over $150,000 annually in order for this to become a real issue. The card doesn’t come with any additional annual fee, though you need to be a member of Sam’s Club in order to get it. Membership to Sam’s Club currently costs $45 per year. How Does The Sam’s Club Credit Card Compare To Other Credit Cards? Nobody should chose a credit card without weighing different options first. For this reason, we compared the Sam’s Club credit card against some of its competitors. The Blue Cash Preferred® Card from American Express is one of our favorite credit cards for cash back around. It provides 6% back at US supermarkets up to $6,000 per year in purchases and has an annual fee of $95 (See Rates & Fees). When it comes to spending on gas, the Sam’s Club Mastercard is the better deal with a 5% rewards rate, versus the 3% rate from the Blue Cash Preferred® Card from American Express . Gas is the only category between the two cards that overlaps, so if you’re deciding between these two cards make your choice based on which of the remaining categories match up with how you use spend. If you shop at supermarkets a lot, the 6% rewards will almost undoubtedly outperform any reward difference on gas. If you’re still unsure how your spending break down will affect the net rewards value between these two cards, you can use our credit card calculator below to get the answer. The Sam’s Club Mastercard offers a far better value than the Walmart Mastercard in all scenarios. The Walmart credit card gives at most a 2.86% rewards rate on gas purchased at Walmart, and 1% back on every other purchase – including other gas stations. The Sam’s Club credit card provides far better rewards across a broader spectrum of categories – dining, travel, etc. If you’re already a Sam’s Club member then signing up for the store’s credit card is the better option. If you only plan to sign up in order to get the credit card, things get a little trickier. The question then becomes about when the greater rewards justify paying the $45 membership fee. As a benchmark, if you spend $178 per month on gas or $188 per month on dining and travel, the Sam’s Club card will provide the better value, despite the membership fee you pay. Choosing a credit card optimally will often depend on how well it matches the way you spend. Using the tool below you can see the 2-year net value of the Sam’s Club Mastercard, and other similar options available to consumers.